Colonel Raynal C. Bolling. Greenwich Historical Society, William E. Finch, Jr. Archives, Colonel Raynal C. Bolling Papers. Gift of Diana Greene. 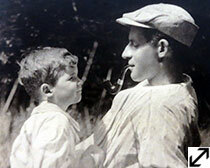 Raynal Bolling and His Son, Raynal, Jr. (Carter), c. 1916. Greenwich Historical Society, William E. Finch, Jr. Archives, Colonel Raynal C. Bolling Papers. Gift of Diana Greene. 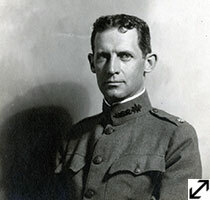 This military aviation pioneer founded the first unit of what would become the Air National Guard and played a central role in the creation of an American flying force during World War I. Bolling was among those who believed that the United States was not adequately prepared militarily in case of conflict. 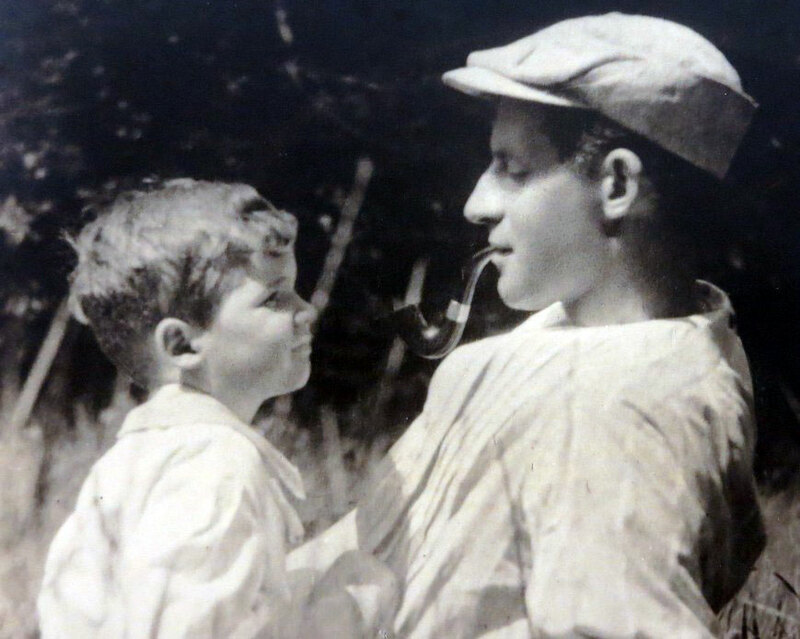 During the summer of 1915, he took flying lessons and attended the first "Business Men's Training Camp," better known as the Plattsburg (NY) Training Camp. His National Guard First Aero Company was mustered into federal service in 1916 and Bolling was made a colonel on August 8, 1917. After heading the Bolling Commission in Europe in the summer of 1917 to study and recommend types of military aircraft to be bought and produced by the U.S., Bolling held various staff positions with the Air Service in France. He then sought and was selected for future combat command of the U.S. II Corps when it formed in the spring. On March 26, 1918, Bolling and his driver were on a scouting trip near Amiens, France. Caught between fast-moving lines, Bolling was killed and his driver wounded by German troops. Bolling, the first high-ranking American officer to perish during the War, was posthumously awarded the Army Distinguished Service Medal and the Legion of Honor. Bolling Air Force Base (now Joint Air Force Base Anacostia-Bolling) was named in his honor.